What’s worse, going to the dentist or going through the review process? Believe it or not I hear this comparison, and others similar to it, from many of my clients. It’s easy for me to remember also how much I dreaded the review process and the requirement of the performance review appraisal. But alas, it’s a very necessary part of corporate employment, but it really doesn’t have to be that painful. 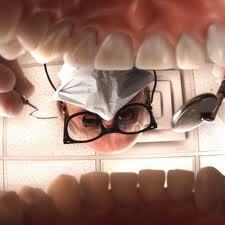 Going through the review process can feel very much like getting your teeth cleaned. Whether the review is being facilitated by either your boss or HR, just like getting your teeth scraped and drilled, it can feel like you are getting drilled on why you think you still belong with the company and why they should keep giving you a paycheck. Then when it comes time for the follow-up, finding out you have a cavity that needs to be filled or you will lose that tooth, is like being told what you’re doing wrong and the areas that need improvement or you will lose your job. So what are some of the reasons why employees dread job reviews? The feedback is being communicated to the employee as if they are a student and the HR person or Manager is the teacher. In these cases, it’s heard with a condescending delivery or tone or as if the employee doesn’t understand what their being told. The feedback being given to the employee is vague and sometimes offers no solutions, or the information seems irrelevant to their position or their job responsibilities. Employees who perceive themselves to be high performers think they should be rewarded for doing what they do, but often times they aren’t. The positive feedback is minimal or limited to what the review form includes, and there seems to be more focus on what’s being done wrong than what is being done right. When I coach executives on preparing for reviews, I preface it with how I would love to support them in transforming their experience of them to one of excitement and anticipation. At first they respond with a tone of disbelief, but they all usually agree that it would be much more desirable to approach it that way. What it can boil down to are two things: either they have always had a fear of job reviews and just maintained that habit, or they actually had a bad experience where they had a performance appraisal that wasn’t so rosy. I have my clients email me their most recent performance appraisal or the past few depending on which ones are affecting them. In reviewing them objectively I am always fascinated how the executive takes to heart comments that don’t seem that harsh, but to them it is. For me as their coach, it’s important to find out why. Instead of looking at it as “constructive criticism”, let’s face it criticism is criticism, why not just look at it as feedback. As feedback it doesn’t necessarily mean it’s true about you, but you do need to understand that this is how others perceive you. The question then becomes, is that how you really want to be perceived? After going through their appraisal, eventually each item that isn’t desirable can be reframed so that it can be used to learn from, grown from and be at choice. There is so much opportunity in this mostly dreaded document, all one needs to do is to change their attitude and let the learning begin. The various opportunities it can offer are to expand leadership capacities, to listen and communicate more effectively, improve working relationships, develop new skills and prepare for their next career move. Once an employee can get over their hurt or shame from the powerful comments and words that are now forever in writing, and in their employee file, it’s time to move on. It’s time to move forward, and with a new attitude. Imagine that you are an employee that has been with the same company for 15 years. I have one particular client who has, and that means she has been through about 13 review processes. And in her words, “there are reviews, and there are reviews.” I’m sure you can guess what she meant by that. We talked about some ways to approach them differently going forward. Preparation – Come prepared with a well thought out list of what you feel you are doing well or what you would like to make sure you cover. It’s your review, so take the opportunity to shine. This shows taking initiative and that you care about the work you do. You may also want to come with specific information about production numbers and significant achievements. It’s also okay to ask your manager for an agenda of what they would like to cover in the review. Make it conversational – Remember, the review is really just a conversation. Yes it’s an important one but make it a productive one. 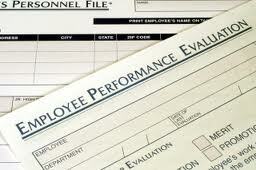 Provide responses to the feedback being given and be a participant in your own review process. When engaging in the performance review conversation with a manager, it’s also a great place to gain some insight about you and what their expectations are. Be realistic and honest – Be honest and realistic about what you have been doing, what you are doing, and what you would like to be doing. Also be honest about what you haven’t been doing or where you could be doing a better job. It’s also okay to admit there are areas where you could use improvement, or where you would like some additional support. Ask them also to identify areas that can be improved upon, or what they would like to see more of from you. When I work with clients on transforming their experience of reviews in this way, the feedback they give me is that they now are looking forward to their next one. By seeing this required part of an employee’s journey with a new perception, you too can approach it with more confidence and in a more relaxed way. I would imagine that most managers would want you as their employee to approach it this way too. Who knows, by changing your thinking, you might also transform your next dentist visit, by looking forward to a good checkup and walking out with a fresh, clean smile. Anything is possible.